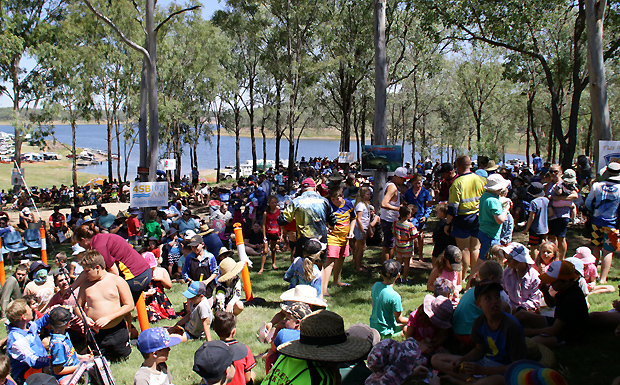 1123 entrants – 851 adults and 272 juniors – braved heatwave conditions to participate in the popular event, and the dam itself was packed with close to 2500 campers. Yellowbelly Fishing Competition spokesman Terry Allwood said the lake fished extremely well for this year’s competition, with 278 fish going through the catch and release section and another 252 in the gilled and gutted section. The biggest Yellowbelly of the event weighed in at 2.215kg. Cash and other prizes were presented at the end of each of the three weigh-in sessions, and prizes were given to the overall competition winners from 11:30am on Sunday at the end of the event. “The water level in the lake was 44 per cent,” Terry said. 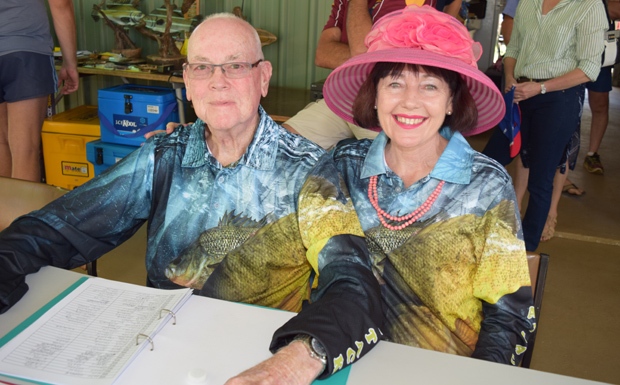 The competition is organised by the Boondooma Dam Fish Stocking Association (BDFSA), which also used the event to showcase a new porch on their Lake Boondooma headquarters courtesy of a Gambling Community Benefits Fund grant, and stylish new shirts for BDFSA members courtesy of Attack Fishing. 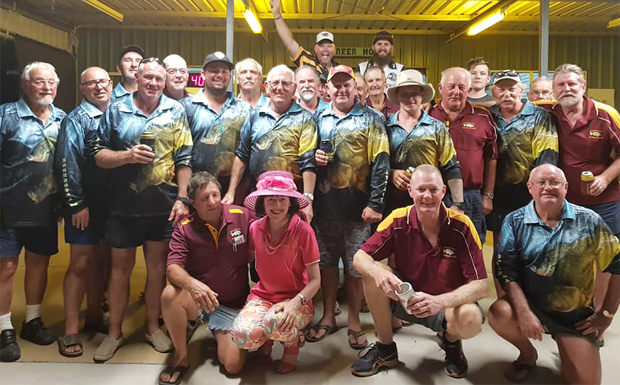 This year, the BDFSA also paid a special tribute to former Wondai Shire mayor and BDFSA member Percy Iszlaub, who passed away a week before this year’s Yellowbelly got underway. Apart from playing a pivotal role in the establishment of Lake Boondooma along with fellow member Alan Keates, Percy was a keen supporter of the BDFSA. He often took friends fishing on Boondooma Dam, and was a Yellowbelly regular for more than 25 years. The tribute was held on Saturday night and was attended by Percy’s daughter Jane, her partner Brayden, and Percy’s grandchildren Eliza, Harry and Wilson. Profits from the competition are used to supplement fishing permit funds from the Queensland Government. To date, the BDFSA have released approximately 5.1 million fingerlings into Lake Boondooma. The Catch and Release category of longest native Bass or Yellowbelly was won this year by John Francis of Kingaroy, with a Bass measuring in at 535mm. John took home over $500 cash, prizes and a trophy sponsored by Thug Lures and Shimano Australia. Chloe Manthey put in a solid effort with some guidance for her dad Shaun to walk away with the most fish (Bass or Yellowbelly) caught and released throughout the competition. Chloe presented a total of 10 fish to the weighmaster. 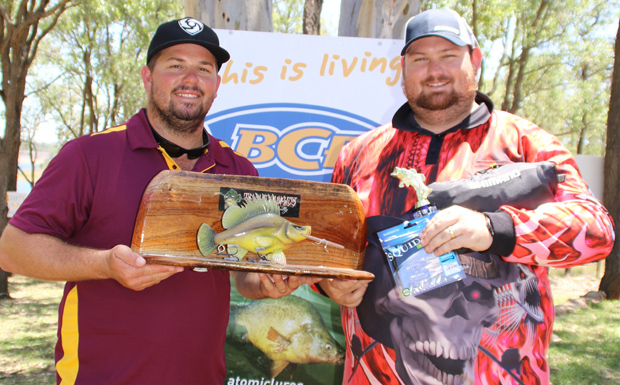 The Heaviest Yellowbelly title was claimed by Scott Johnston from Proston with a 2.215kg Yellowbelly. Scott took home over $410 cash plus prizes and trophy, thanks to sponsors Corey and Nikki Goldie of the Lake Boondooma Kiosk. The winner of the heaviest Bass section was D. Rutch of Mooloolah with a 1.37kg Bass. 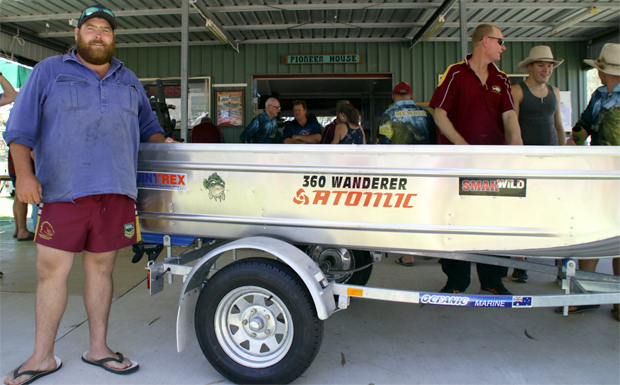 He secured a $350 pay cheque plus prizes and trophy, thanks to sponsors Wondai Accounting and Tax Services. 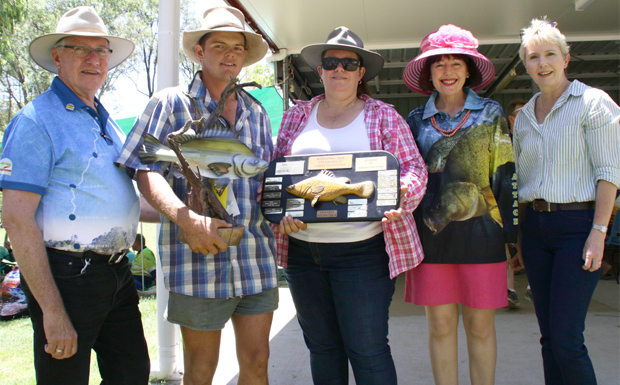 Hanwood Fish Hatchery champion junior anglers for Yellowbelly were Lucy Stead of Kingaroy with a 1.8kg Yellowbelly, while the Bass was claimed by Benson Graham of Wallumbilla with a $1.315kg catch. 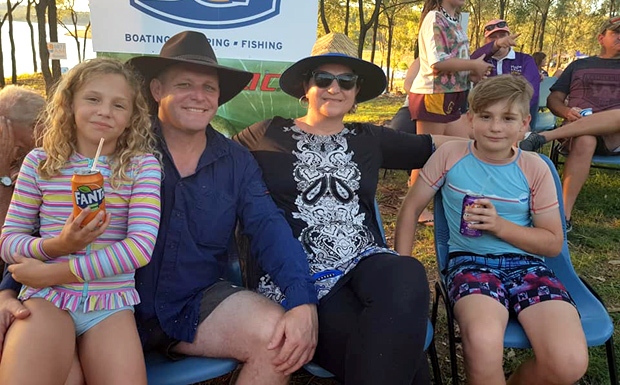 The competition’s major prize – a 3.6m Quintrex boat motor and trailer package – was won by Ryan Daley of Clifton, thanks to sponsors the South Burnett Regional Council, while the Dragon kayak was won by Keith Smith of Highfield. The 2019 competition will be held February 9-10, 2019, and entry costs will remain at $20 for adults and $5 for juniors aged 16 years and under. 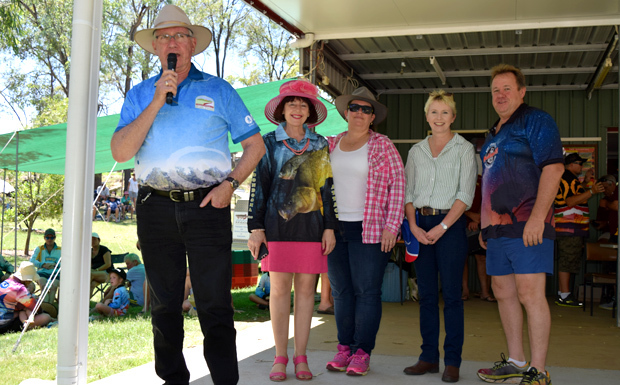 In all, $40,000 in prizes and lucky draws were available for this year’s competitors, with food and drink stalls provided by local community groups. Additional information on the local area and past fishing competitions can be found on the Proston Online website.